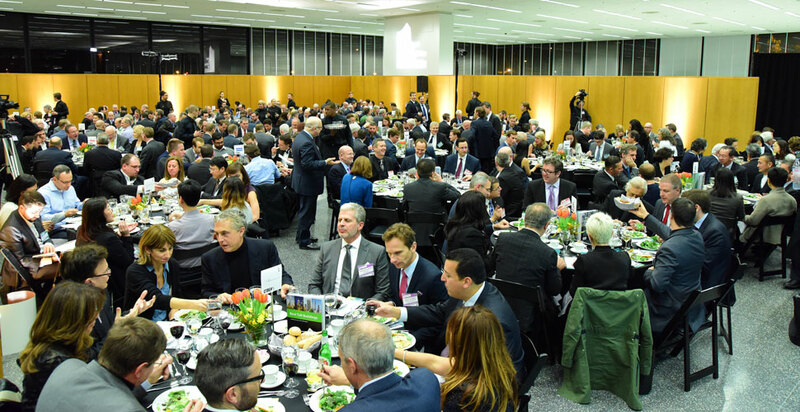 CHICAGO – The Council on Tall Buildings and Urban Habitat (CTBUH) Awards Jury selected Bosco Verticale, Milan, as the overall “2015 Best Tall Building Worldwide” at the 14th Annual CTBUH International Best Tall Building Awards Symposium, Ceremony & Dinner, celebrated November 12 at the Illinois Institute of Technology, Chicago. The final decision was the culmination of a nearly year-long juried selection process considering 123 entries representing a total of 33 countries. In July, the CTBUH Awards Jury named a winner from each of the four competing regions in the world: Americas, Asia & Australasia, Europe, and Middle East & Africa. 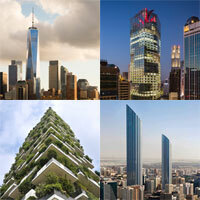 The Regional Winners were One World Trade Center, New York City, United States; CapitaGreen, Singapore; Bosco Verticale, Milan, Italy; Burj Mohammed Bin Rashid Tower, Abu Dhabi, United Arab Emirates. Senior representatives of each of the winners gave presentations at the Awards Symposium at Hermann Hall, with the jury convening immediately afterwards to determine an overall winner. 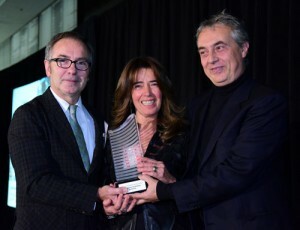 IIT Dean Wiel Arets then had the honor of awarding the title of overall “Best Tall Building Worldwide” to Bosco Verticale at an elegant Ceremony & Dinner held in Mies van der Rohe’s iconic masterpiece S.R. Crown Hall. The jury applauded Bosco Verticale, which translates to “Vertical Forest,” for its extraordinary implementation of vegetation at such scale and height. The building supplants traditional cladding materials with screens of greenery such that the plants act as an extension of the tower’s exterior envelope, creating a distinct microclimate. The building’s intensive “living façade,” incorporating numerous trees and 90+ species of vegetation, is an active interface to the surrounding environment. Along with creating a beautiful appearance, the living green façade concurrently stimulates interaction with the surrounding environment while also protecting against it, in fact enhancing the sustainability of the project. The jury called this exploration of the viability of greenery at such heights groundbreaking. Bosco Verticale was also the focus of the 2013 International CTBUH Seed Funding Initiative, sponsored by Arup, in which Dr. Elena Giacomello monitored the vegetation of the towers and built a database in support of a new framework for the green design of tall buildings. The findings were published by CTBUH in Vertical Greenery: Evaluating the High-Rise Vegetation of the Bosco Verticale, Milan. Beyond the grand announcement of the Best Tall Building Worldwide, The CTBUH Awards Jury also recognized numerous other impactful projects throughout the evening. 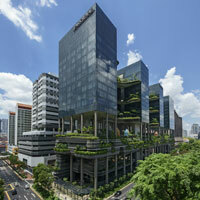 Singapore hotel PARKROYAL on Pickering, for the Urban Habitat Award, which WOHA Architects Co-Founder Richard Hassell accepted. 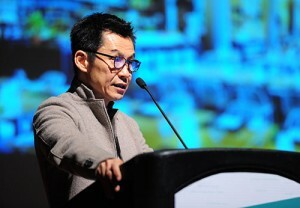 To note, as Mun Summ Wong’s had team worked on the project, he recused himself from the Jury when they deliberated this award. 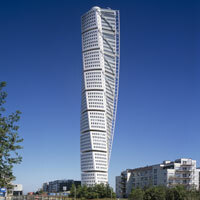 Santiago Calatrava, accepted the 10 Year Award on behalf Santiago Calatrava Architects & Engineers for the Turning Torso in Malmö, Sweden. 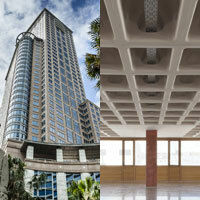 Sydney’s Chifley Tower won the Performance Award for its exceptional energy efficiency upgrades undertaken in 2008, 16 years after the building’s 1992 completion. Maria Ramirez and Alberto Alarcon accepted the Innovation Award for their company’s coffee concrete slab solution, HOLEDECK®. 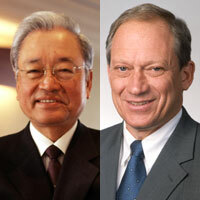 The CTBUH Board of Trustees also awarded two special Lifetime Achievement Awards that evening. Mrs. Mori accepted the Lynn S. Beedle Lifetime Achievement Award on behalf of the late Minoru Mori for his transformative impact on the Tokyo skyline, and recited a beautiful acrostic poem. Nicholas E. Billotti, Turner Construction accepted the Fazlur R. Khan Award on behalf of the work he’s done over his 39-year career at Turner Construction. 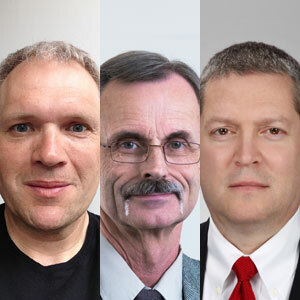 The Board of Trustees also named three new CTBUH Fellows, celebrated for their contribution to the Council over a period of time, and in acknowledgment of their work and knowledge in the design and construction of tall buildings and the urban habitat: William Maibusch, Project Executive, Andersen Construction, Simon Lay, Global lead, Fire & Life Safety Consulting, AECOM and Robert Pratt, Managing Director, Co-Head of Global Design & Construction, Tishman Speyer. 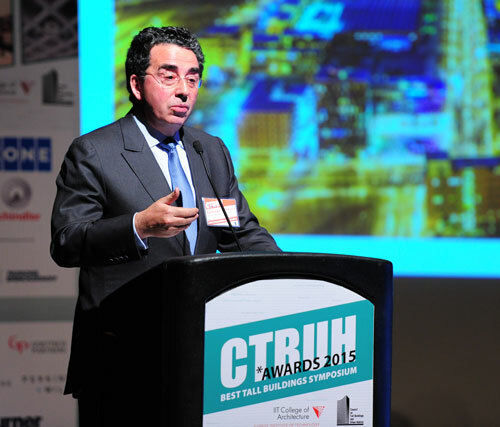 See more complete details on all 2015 CTBUH International Awards Winners and Finalists.